This entry was posted in Health, The Daily and tagged night, sleepless, travel, twilight on April 10, 2019 by Nikki Babie. This entry was posted in Health, The Daily and tagged Antifungal, antioxidants, apricot seeds, health, love on April 7, 2019 by Nikki Babie. This entry was posted in Health, The Daily and tagged breathe, hike, love, nature, outdoor, trees, yoga on March 22, 2019 by Nikki Babie. You truly are what you eat – and it shows on the body and face. This entry was posted in Health, The Daily and tagged dairy free, food, gmofree, grain free, health, life, nikki babie, organic, style, sugar free on March 19, 2019 by Nikki Babie. This entry was posted in Health, The Daily and tagged Beauty, fitness, happiness, health, heart, love, robustiousness, style, toughness, yoga on March 15, 2019 by Nikki Babie. 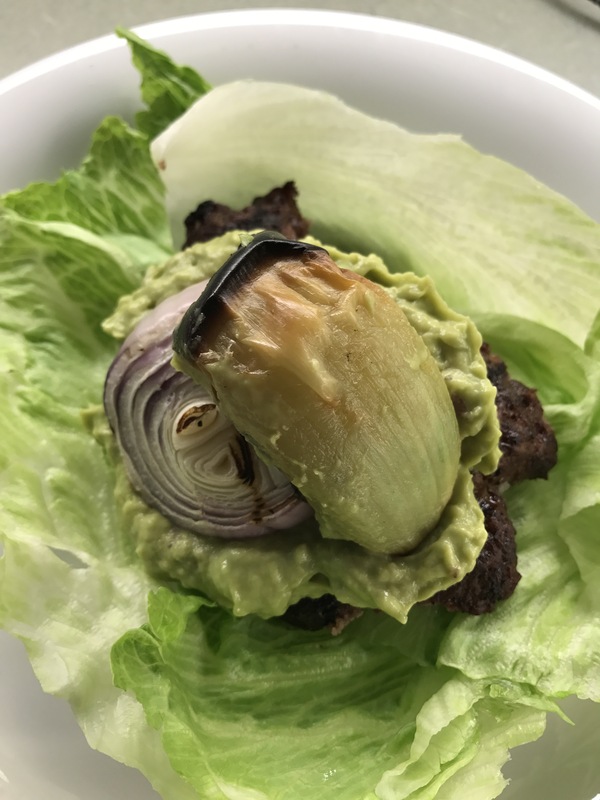 Delicious BBQ beef burger stuffed with organic spices, garlic, onions and Himalayan Pink salt, on a bed of organic head lettuce. Topped with our 🥑 avocado dip, BBQ garlic buds & sliced purple onion. This entry was posted in Food, Health and tagged burger, fit, fitness, food, grainfree, health, love, meet, nikkibabie, nongmo, organic, paleo, wellness on May 18, 2017 by Nikki Babie.